Ingredients: Vanilla | Talk Sweet To Me! Because everyone wants their cake business to thrive, I can probably say that most of you will agree with the following statement: Quality ingredients make a quality cake. 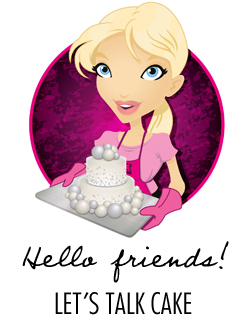 We all know that guests at an event sometimes remember how a cake looks, but they ALWAYS remember how it tastes! A solid cake recipe made with quality ingredients is what keeps people coming back for more. There are some ingredients you can buy on the cheap. Others you buy the best you can afford. I think that is especially true with vanilla…and chocolate. Today I’ll talk about vanilla. Sometime soon we’ll discuss chocolate, I promise! 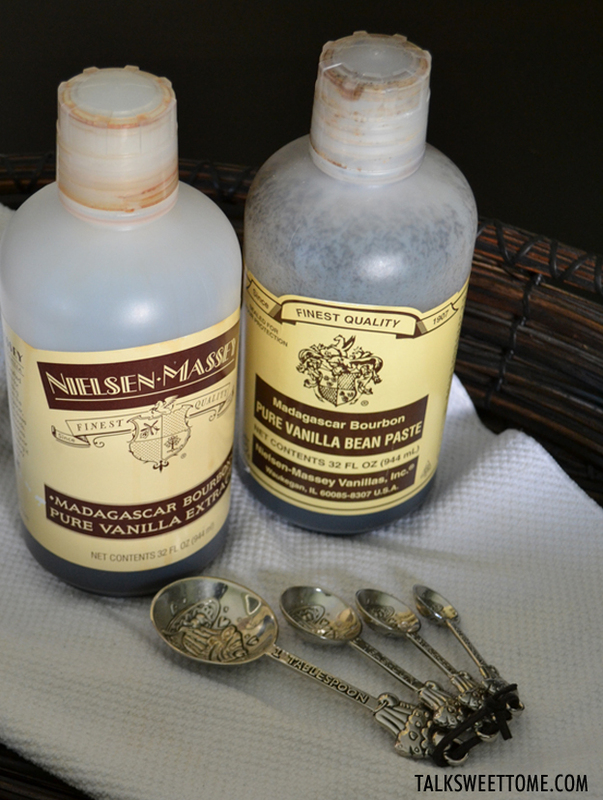 I’m by no means an expert, but I’ve tasted a lot of the stuff and my absolute favorite vanilla on the planet is Nielsen-Massey Madagascar Bourbon Pure Vanilla Extract. It is rich, it is flavorful, it is delicious, and somehow it makes everything it touches absolutely scrumptious. They also have a great vanilla bean paste. I scraped my fair share of vanilla beans and just found that the paste not only helped me avoid making a mess, but it also saved time and kept me from having to run all over town to find fresh vanilla beans…because it’s that good! 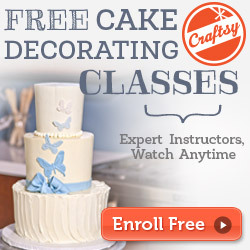 A great vanilla adds a certain layer of flavor to your cakes and creates a rich and flavorful buttercream icing. The secret: People will have no idea WHY your cake and icing is so good, they will just know that it is out-of-this-world and make sure you are one baking their wedding cake. Ohh…..yum! The last time I searched, the least expensive 32-oz. bottle of this liquid deliciousness could be found at Culinary District online. You can also buy it on Amazon if you’re ordering a bunch of stuff anyway! You can find vanilla bean paste here at Culinary District or on Amazon here. Do you have a favorite vanilla? Where do you find the best price for it? This entry was posted in Cake, Cake Baking, Ingredients, Resources, Wedding Cake and tagged baking, cake, cake baking, ingredients, tips on May 17, 2013 by TalkSweetToMe.